I have no words for this, only tears can describe this. 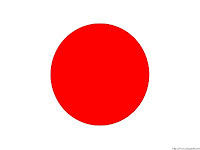 .You can text REDCROSS to 90999 to donate $10 in support of the Japan earthquakes and pacific tsunami. Please, Help. Even if it's simply just asking people to donate a little, sending links and praying for everyone there. Every little that we can do, can help. Tears can not bring back the ones that are gone but we can still help them see the raising sun again.